Travel Thursday-Where I WANT to go Round 2- Big Sur! Happy Thursday! Finally we are ALMOST to Friday! Today is another 11-hour workday for me, but I only have one more then I get a full week off from teaching skiing (yay)! I always feel like January drags on, but that each winter goes by way too fast here (anyone else feel that way?!). I've been on a kick watching This Is Us on my treadmill runs (which is probably what I'll be doing this morning unless the snow on the road improves...). I have 7 miles on the schedule to kickstart my day. What is on your schedule today?! I wanted to share with you 5 places that I REALLY want to visit along Big Sur. Yes, their marathon is definitely also on my to-do list (hopefully will do it when I qualify for Boston so I can do the Boston-to-Big-Sur Challenge). I'm not sure whether it's because I haven't traveled much along the West Coast or because I grew up so far away, but anything along the West Coast really draws me in and I just want to see it all. 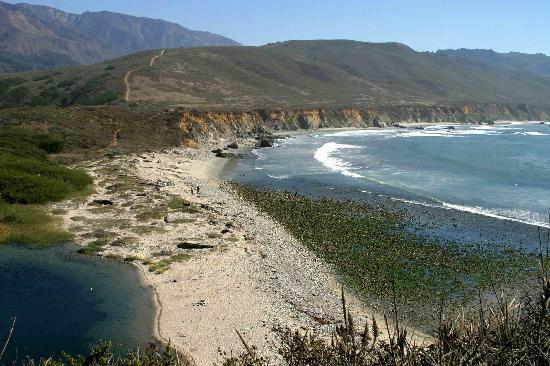 Not only is it intriguing, but Big Sur also boasts A TON of state parks (with so many incredible views)! -Pfeiffer Beach - this beach and views look absolutely amazing. I just want to bring a book there and stay all day! -Garrapata State Park- I've always wanted to see this particular view of Garrapata State Park! Definitely to DIE for! What places are on your bucketlist? Are you more of a in-state traveler or want to go more abroad? Ever been to Big Sur or ran their marathon? !